Punjab Chief Minister Amarinder Singh hit out at Pakistan PM Imran Khan after the latter said India had no proof of Islamabad's role in Pulwama attack. 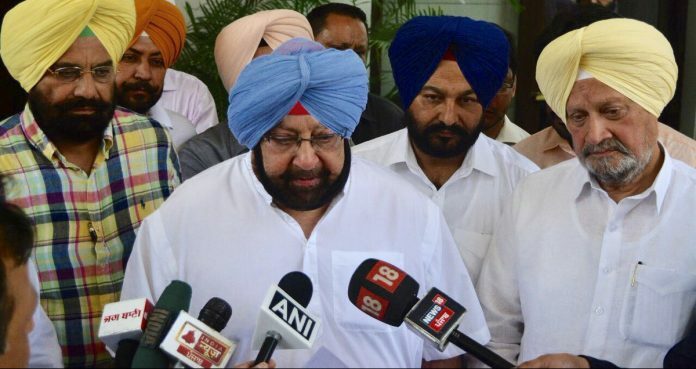 Patiala: Punjab Chief Minister Amarinder Singh Tuesday lashed out at Pakistan Prime Minister Imran Khan for claiming that India had no evidence of his country’s role in last week’s Pulwama attack on a CRPF convoy. “What proof is he talking about? Should we take the bodies there?” Singh told journalists on the sidelines of an event here, when asked about Khan’s comments. “Masood Azhar is in Pakistan and doing things from there, and everyone knows it,” he added, referring to the chief of the terror group Jaish-e-Mohammed, which claimed responsibility for the Pulwama attack. “Every day our soldiers are being killed at the Line of Control, so who’s killing them?” asked Singh, adding that the entire world knew what Pakistan was doing in Kashmir and other parts of India. He said Pakistan was responsible for 26/11, but did nothing to help despite being given proof by India, and noted that a Pakistan-made grenade was also used in the Nirankari Bhavan blast at Rajasansi, Amritsar. “Dear @ImranKhanPTI you have Jaish chief Masood Azhar sitting in Bahawalpur & masterminding the attacks with ISI help. Go pick him up from there. If you can’t, let us know we’ll do it for you. BTW what has been done about the proofs [sic] of Mumbai’s 26/11 attack. Time to walk the talk,” the Chief Minister tweeted later. In a televised address earlier Tuesday, Khan had said that India was blaming Pakistan for the Pulwama attack without any valid proof. “We are now hearing Indian political leaders through the media that they want to take revenge and strike Pakistan,” he said. “Firstly, I wonder where in the world there is a law which allows an individual or a country to become the judge, jury and the executioner? “Secondly, I understand this will give you a huge boost politically as you near the elections. But if you think you can attack Pakistan, then Pakistan will not think twice before retaliating,” he added. The Punjab Chief Minister said Khan was a ‘Courtesy ISI’ Prime Minister (a reference to Pakistan’s powerful spy agency), which made his reaction expected. He added that the Pakistani Prime Minister, along with their army chief General (Qamar Javed) Bajwa, was “killing Indian soldiers and innocent people”. India cannot and should not tolerate this, Singh said, adding that “if they kill one of ours, we should kill two”. Earlier, addressing the gathering at a foundation-laying ceremony, the Chief Minister sought to underline the importance of peace for development, but said India needed to avenge the killings of its soldiers. Surgical strikes could be one way, but it was up to the Centre to decide what course of action it should take, he added.